What is Endcap in Retail??? 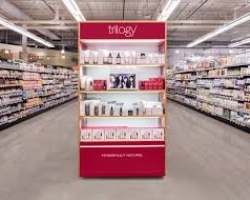 An endcap is used to display a product placed at the end of a shelf. It is basically used to give brand a competitive advantage. 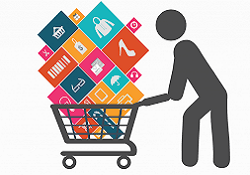 Products which are placed on the endcap will sell at a very fast rate as compared to others. Products placed at the endcap attract more customers. Brands use these to show their products or new launches. The top section is reserved for signage and establishes a “theme” for the display. This area is used to draw customer’s attention to the product and let them know the value proposition, whether the item is on sale or there’s simply a specialty/seasonal offering that is only available for a limited time. The middle part is used to set up for interaction with the product that the brand is promoting. This is the place to offer samples, allow customers to engage with the product, and make the product’s features stand out. The bottom of the display is used for the storage of extra product and easily available for customers to pick up for purchase. While you want inventory to be plentiful enough that it doesn’t run out between restocking, it should not look too crowded or appear as if no one has purchased the product.